Cloud-based cash flow planning & forecasting software designed to give business owners control over their operations. Many businesses don't know when cash is tight and it's time to reign in spending, or when they have too much cash lying idle when it could be used for important things. Our tour video highlights this issue. 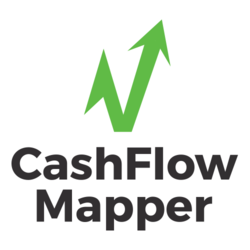 The idea behind CashFlowMapper was to produce a cash flow planning and forecasting tool designed to be easy and intuitive for non-financially orientated people - even those who can't stand looking at a page of numbers! CashFlowMapper can be used by any business in any industry, therefore this is a great opportunity for independent sales agents that have contact with company owners or their advisors to sell an ongoing solution to the most prevalent business problem. Those with an interest in business software would be most suited, however a financial background is not necessary to quickly gain expertise. The software, being focussed on the future, is the ideal complement to historically-focussed accounting software. Those with an interest in assisting business owners / managers to better gain control over their affairs. Everyone needs to know how their bank account is tracking.